After copying your Outbrain pixel code from the Outbrain dashboard, paste it directly in the head of every page on your site. 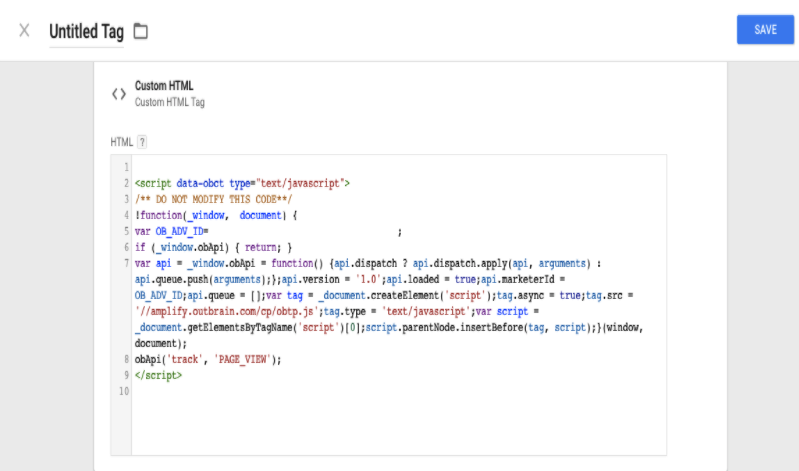 You can also implement it without altering the HTML of your pages using Google Tag Manager. Already have the pixel installed? 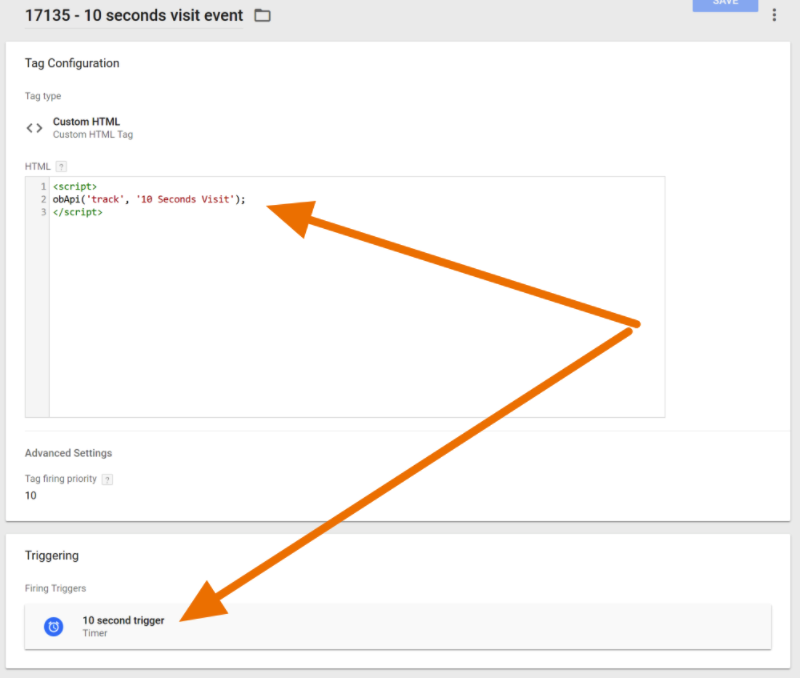 Check out how to set up a conversion for Time on Page and a Button Click. 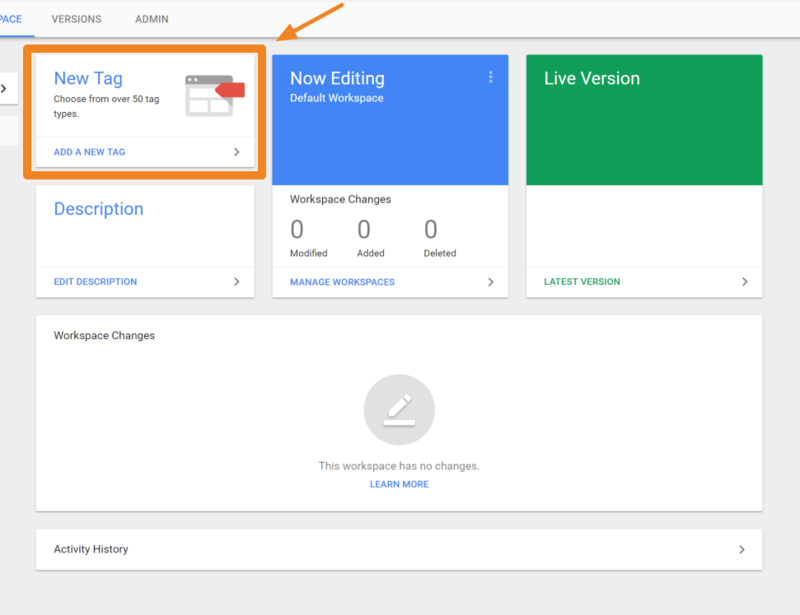 To install the pixel via Google Tag Manager, begin by clicking on “New Tag” in your Tag Manager account and select “Tag Configuration”. Paste the copied code into the box provided. Click on “Triggering” and set up your desired triggers. We recommend setting up the first trigger as “All Pages” so that the pixel can fire on every page. Note that a conversion will not be counted for every page view, as you will need to define specific conversions in your Outbrain dashboard. We do not recommend appending the additional code into the base code and triggering it on a specific action. This will cause a time lag from the action to the pixel fire, and you may experience incorrect conversion data. If you want to fire a conversion after a button has been clicked, follow the same steps above and choose ” “All Elements” as the trigger type. 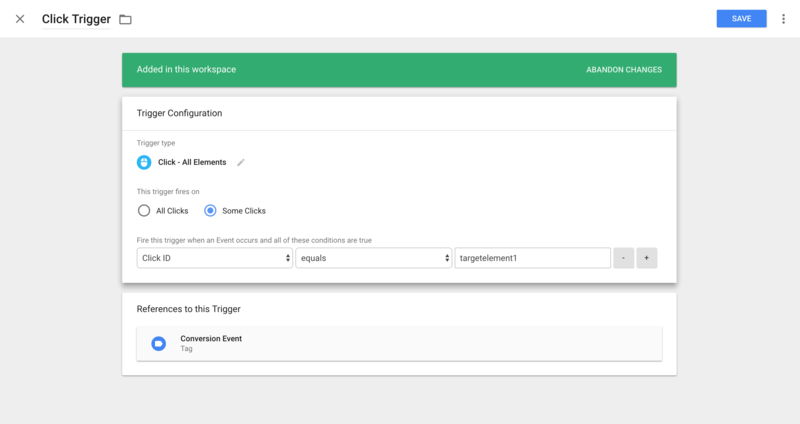 Have the trigger fire on “Some Clicks” and enter the Click ID or Click Class that the action is associated with. For example, if the action was written as follows, you can set the ‘Click ID’ to targetlink1. If you’re unable to locate “Click ID ” or “Click Class” in the Variables drop-down, you can configure which variables to show under “Variables” in the main dashboard. Once you have created and saved your conversion points, use our Outbrain Pixel Tracker to test the pixel fire and implementation. Want to implement our Pixel in Floodlight? Check out our guide! For any further questions, feel free to reach out to our helpful team at support@outbrain.com.